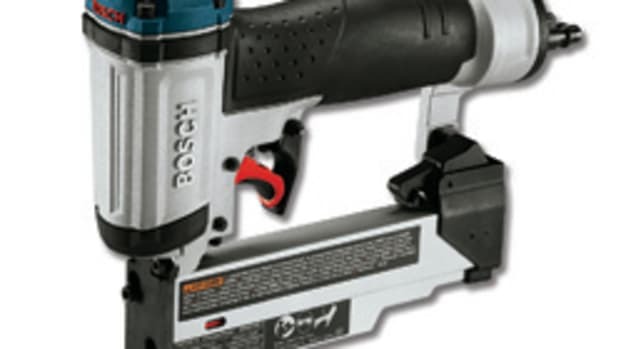 Bosch recently introduced a new 20-degree angled, 18-volt lithium-ion finish nailer, model FNH180K-16. 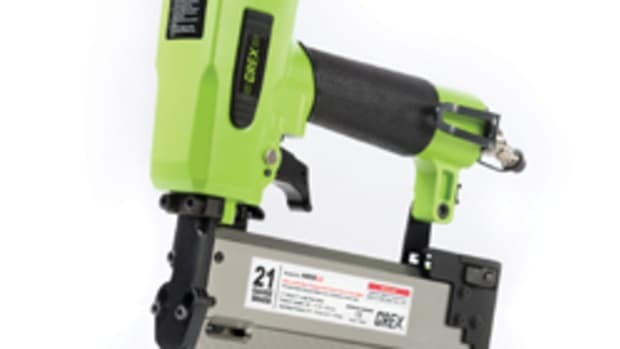 Not only is the nailer compact for ease of use, but its powerful, delivering more than 700 nails per charge in most common materials, regardless of nail length, says product manager Nick Feld. 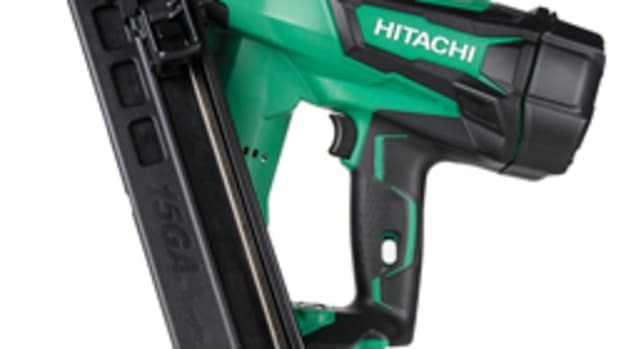 In a market dominated by pneumatic nailers, those reaching for a cordless version will naturally expect the same performance from a power standpoint. 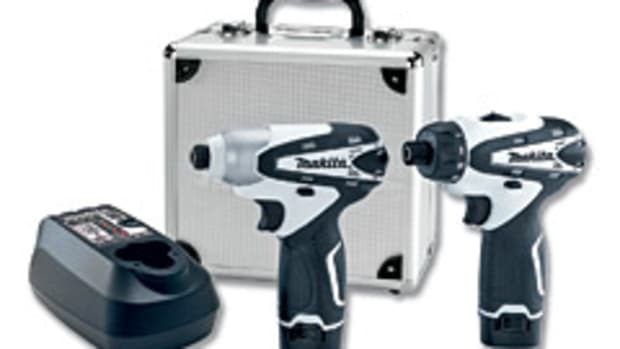 “Power is a key element customers look for in a cordless nailer. When we’re talking about power, we’re talking about the tool’s ability to drive one nail after another nail, regardless of the nail length, consistently with the same power. 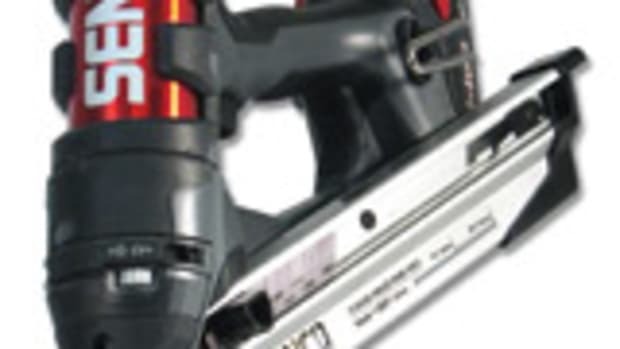 Bosch lithium-ion delivers this regardless of whether it’s the first nail or last nail on that battery charge,” says Feld. 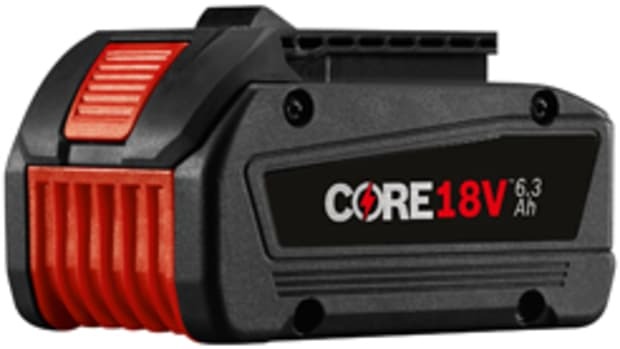 The new nailer weighs 7.7 lbs. with the battery, and its dimensions are 12-1/2” long, 3.7” wide and 11.6” high. This small size enables the tool to fit into a variety of spaces. 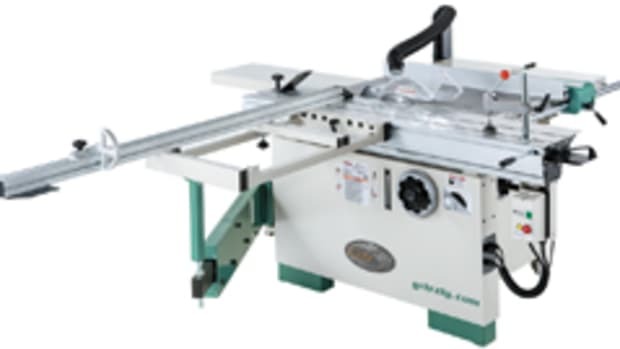 Ideal applications include all primary finish work, such as window and door casings and molding, crown molding, base boards, chair rails and other trim details. 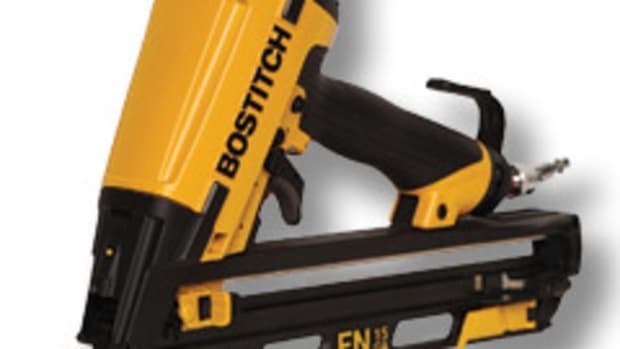 It accepts 16-gauge 20-degree angled nails, ranging from 1-1/4” to 2-1/2” in length. The tool features blank fire lockout — which prevents blank firing when the nail magazine is empty to help avoid damage to the workpiece — tool-free jam clearing and a non-marring nosepiece. The Bosch battery system works with more than two dozen other tools in the company’s 18-volt lineup, says Feld. 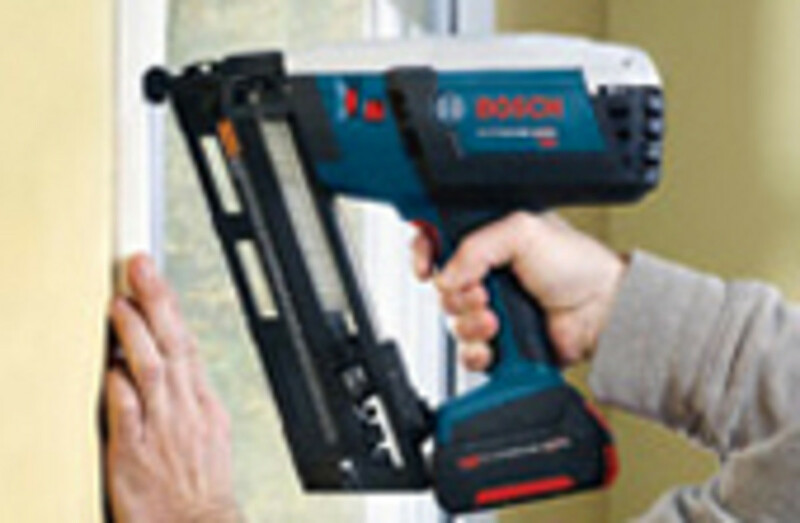 Like other lithium-ion-powered Bosch tools, this tool is Flexible Power System-compatible, a unique feature launched with the company’s first generation lithium-ion tools in 2008. This system allows users to decide between using the FatPack battery, which gives them a maximum run time, or SlimPack battery, which gives the user about half as much run time, but is lighter in weight and compact in size. The nailer kit sells for $450 and includes a 30-minute charger, case, belt hook, safety glasses, no-mar tip and one FatPack battery. A SlimPack battery can be purchased separately for around $75.